Wiggle are a leading online destination for running clothing and accessories, bike and cycling gear, swimming products and much more. Discover all your favourite brands at the best prices. Find Nike, Adidas, Shimano, Castelli, SRAM, Zoggs and many more. Wiggle The $30M Sale! Thousands of great products at up 50% off! Wiggle Save 38% on Mizuno Women's Wave Inspire 10 Shoes . Shop now at Wiggle! If you are a tri-sports nut, you will love Wiggle. Offering a huge array of sporting goods including sportswear, equipment and accessories for men, woman and kids. Whether you like to cycle, run, swim, mountain bike ride, hike or all of the above, you will find the world’s best brands at competitive prices – including bikes, spare parts and tools. Wiggle also offer a range of insurance cover for cyclists, different to that of ordinary home and contents insurance – which usually covers theft only. Wiggle’s Insurance covers not only theft, but crashes and accidental damage, including liability cover. With levels of insurance coverage suitable for the everyday commuter through to advanced event competitors. Determined to be the leaders in their industry, Wiggle have an extensive article library, event calendar, detailed customer product reviews and boast over half a million followers on Facebook. 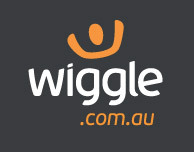 Wiggle offer free Australian delivery for purchases over $99 which usually takes just 10 days and an impressive return policy which allows you 365 days to return an item after it’s purchased.